colored soup, also our signature RAMEN. be called “Mystic Black Soy” due to long period process. dried bonito flakes). These stocks make the soup even richer. 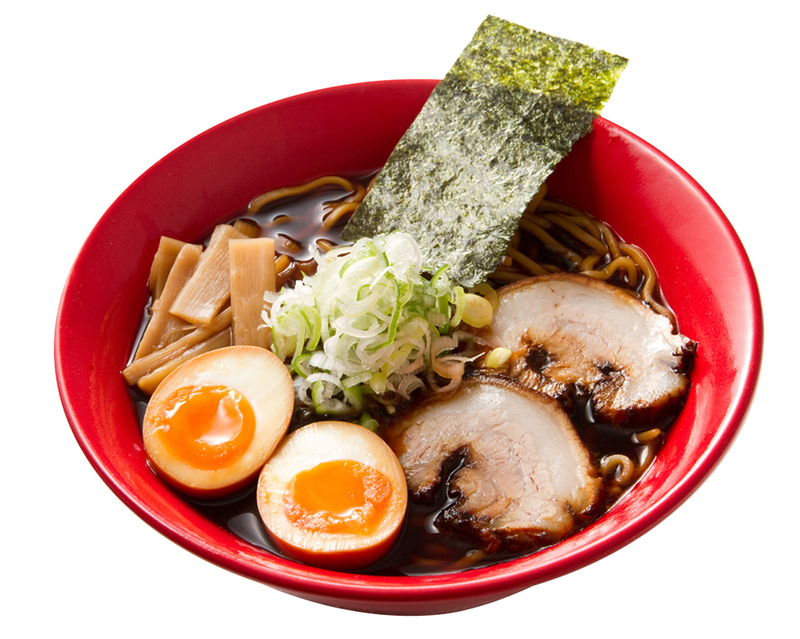 You cannot explain Ramen without referring to TOYAMA BLACK!!! KOBUJIME (Konbu seaweed sandwiched fish) and sushi. from shrimp and smell of the sea came to the world. Toyama Research Institute of Food. “Japanese Glass Shrimp” is not only delicious but also very healthy. THIS RAMEN IS FOR ALL LADIES!!! CHUKA-SOBA is Japanese traditional style Ramen. It’s made of classic soy sauce soup based on chicken bones and Japanese style stock. It tastes simple but has rich flavor. 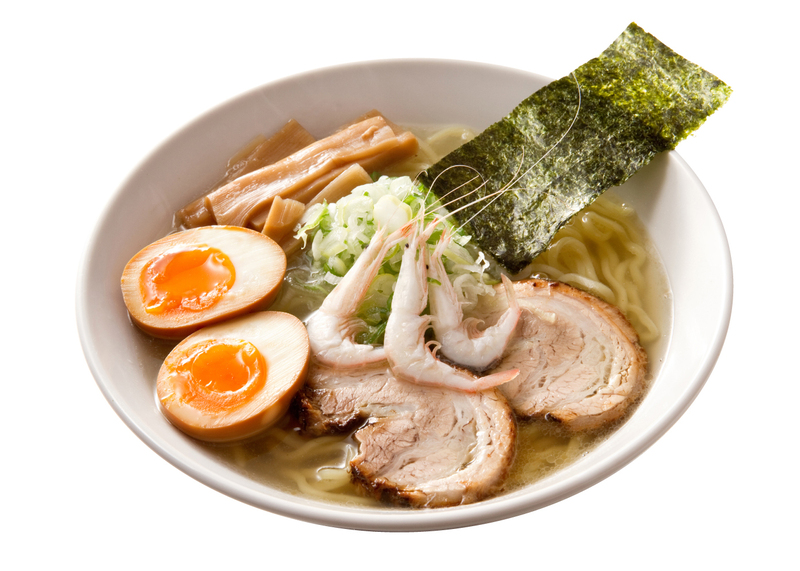 TSUKE-MEN (Dipping style Ramen) is the best way to enjoy the flavors and taste of noodle itself. Noodles are tightened in cold water for bringing noodles tougher and flavor of wheat clearly. We provide“BLACK” (black soy sauce soup with rich seafood stock) and “RED” (Spicy Miso). 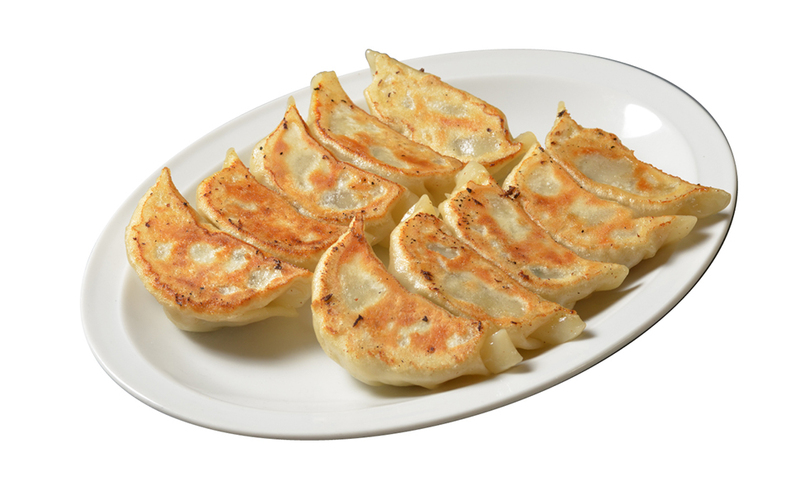 IROHA GYOZA is all hand made and specialty grilled dumpling filled with over 20 kinds of ingredients, such as minced pork, Japanese chives, cabbage and more. It is really juicy and tasty. It can be eaten without sauce.The all hand made flavored sauce makes it increase yumminess.